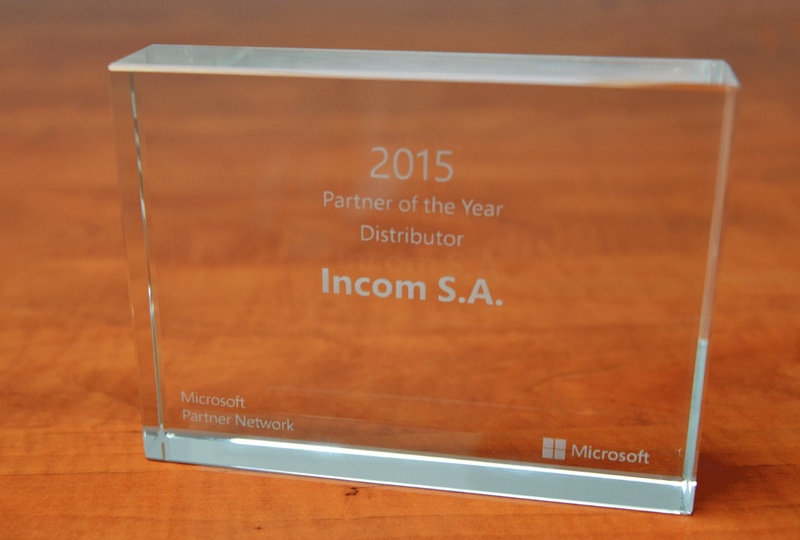 Distributor of the Year 2015 of Microsoft Products - Incom Group S.A.
We are proud to announce that, second year in a row, Microsoft has awarded INCOM the title of the Distributor of the Year 2015. This award is the culmination of our year-long hard work and a great source of motivation for further action. We would like to thank our Partners. Without them this success would not have been possible.